Today I would like to discuss an extremely valuable SEO technique called virtual theming. 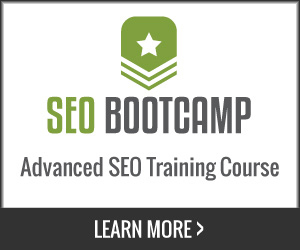 This process will allow you to shift the way your site ranks for specific keywords. It is better to build it right the first time, than have to go back to fix it. However since most sites are already built, you can use this method to shift ranking factors despite the existing site architecture or page title / naming conventions. The first thing to do is to determine if you have enough content to support the keywords you are targeting. Rarely will you find a website ranking for a competitive keyword (competitive in the sense that it is highly sought) with just a few pages of content on the topic. The idea is to build the site up and then get the equity back from dividends using links to develop topical relevance and continuity. This technique is ideal to help search engines and human visitors find the hidden gems that lay beneath the surface within your website. The technique involves deep linking and internal links. At the end of the day, any link within the site that is optimized for a specific purpose is another link that passes value (which may not always be the case with external links providing backlinks to your site). I often use a simple yet effective Google search command [ site:yourdomain.com keyword ] More on this later, first we need to understand the premise of why we are looking rather than what are looking at. This command reveals just how many times co-occurrence is happening within a website for a specific keyword or key phrase. In this instance the idea of co-occurrence is limited to the scope of how many pages that are indexed within the site are considered viable landing pages for the keyword in question. Once identified, they can be used in tandem to increase your websites relevance score and ranking potential (like the buddy system) by carefully selecting which keywords you use as the anchor text/link between pages. The Tactic: Choose the preferred landing page. The Technique: Link to “the preferred landing page” from every page indexed in the site (for that keyword from using site:mydomain.com keyword ) while slightly varying the anchor text to promote keyword stemming. Usually, if you have a large site often your main keywords are integrated into the title and meta description tags frequently. Although this does produce an effect in regard to SEO (allintitle), we are more concerned with pages that have the relevance within the body of text on the page (allintext). Just a beautiful sculpture starts as a ball of clay, think of your website in the same fashion. Most sites have all the links wide open and using a variety of anchor text (which can diffuse the sites ranking power and potential). This tactic shifts the on page link weight and sends a clear signal to search engines which pages should rank for what terms. In other words, even though you may have 50 pages all relevant as landing pages for a keyword, you can pick the top one and link the other 49 to it (with the keyword) to promote it as your champion page. When all of these factors come together over time, the champion page takes on its own life in search engines (often being returned as a relevant result with just a mere fragment of the query overlapping with its content). This means, that the champion page does not have to have an excessive amount of text (since it is supported by so many other keyword rich pages). We have a page in our site with less than 100 words that ranks competitively for dozens of keyword combinations using this exact strategy. Obviously, the more content you have the better (250-300 unique words per page are ideal), but this technique can be used to supplement using pay per click for specific landing pages by just adding a content management system to a website and then sculpting the on page link weight. Granted this technique could be implemented through creating a custom script with PHP, there is something about context and usability in regard to your human readers that needs to be present. So instead of adding a link from each page returned as a target page (from the site:mydomain.com keyword, command), it is best to see if you really need it. If you have 100 relevant pages, perhaps 30 will do instead of all 100, the extent of the internal linking is up to you (or the needs of your ranking objective). Although sheer on page factors such as how many pages a site has is a simple metric for analysis, this alone does not conclude where the site it getting its prominent ranking factors from. What it does allow you do to however, is find their champion pages and then study the relationships, the backlinks to the page (both internal and external) as well as decipher their ranking model. To gauge a keyword you could use the following method. 1) Perform a search in Google under the normal context, to see who ranks first for the keyword. 2) Then repeat the search “in quotes” to see how many pages in the Google index are essentially targeting this term. The results will state 1 of 10 of the number of competing pages (such as 1 of 10 of 1,200,000 pages). 3) Then last but not least, we want to see how many exact match shingles are found within the top ranking website to assess the degree of competition from the on page factors from the amount of topical content. A shingle is a group of words that have the proximity or “exact match” of the keyword in question and can appear in the title, meta description or body content of the document. Google will bold this content in addition to showing you the number of pages containing the keyword or phrase to provide an overview for global keyword density. So, take the competitors website address and find their content threshold by using the following search command. 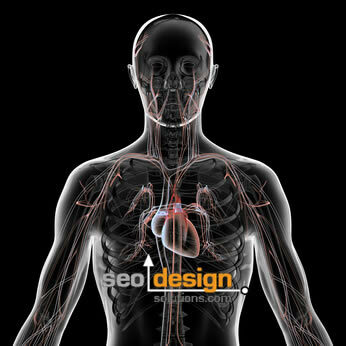 Then you can find out just how many pages in their site are used to support the keyword internally. Chances are, you will find 50-75% of their total pages referencing their main keyword. Particularly if their page ranks competitively for multiple related key phrases stemmed from that keyword. Regardless of this being intentional or unintentional, it works (just ask Wikipedia who mastered this method), so at least you know the ball park for on page content to compete head to head for that ranking. If they have 400 pages supporting the keyword, you should have at least 200 pages in your site and focus on passing more link weight through internal linking. 4) Last but not least, now use the same command on your own website. Find the pages you have to work with. The one returned on the top is the page with the most on page relevance to the search engine. If your website is light in the pants, then dig in and add some content, but first you can work with what you have (which is opportunities to funnel link weight). If search engines are deeming a landing page more important (for a particular keyword), chances are the conversion on that page is low or accompanied by a high bounce rate. To correct this, shift the flow of links to the preferred landing page by using a keyword from the first 25 words on the irrelevant page (in the body section) to the preferred landing page with a link using the optimized keyword. 5) Repeat the exercise in step 4 until you have physically went through the bulk of your pages and structured the internal links properly. After you have mapped out which pages to elect and the total number of keywords you wish to develop prominence for, when your pages get re-crawled and indexed, you will note the shift to which page appears for what term (over time). To expedite the process (of crawling and ranking) build some links to the pages with the highest crawl frequency, from their they will send spiders deeper into the site to assess the extent of your changes to the internal link architecture. what if there is only one page.? I have a signle page website. so i cant build internal links easily. with this theme , could i stop using all in seo plugin ? Many thanks for this info. I’m currently really trying to figure out how best to set up internal links within our site and this has provided some great help. I’ve built internal linking, but my web is still on page 6. What should I do ? Build deep links, you need both. 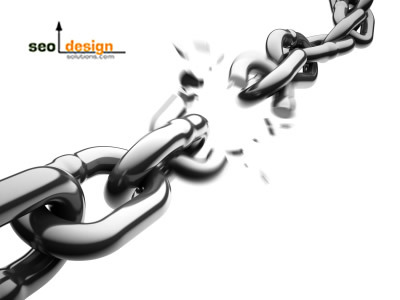 However, the extent of how many you need depends on three things (1) your site architecture and how well each page is wired to support the more important landing pages (2) your websites age and authority compared to your competitors (thresholds) and (3) how many lnks (or deep links) they have to their site or pages. You need both, but in the right percentage at the right time. Quality, relevance and PR trump flimsy links, so it’s not just about volume.